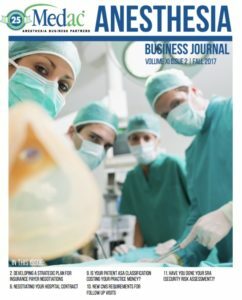 The Fall 2017 Anesthesia Business Journal Is Here! Home » The Fall 2017 edition of Medac’s Anesthesia Business Journal Is Here! Is Your Patient ASA Classification Costing Your Practice Money? Have You Done Your SRA (Security Risk Assessment)?